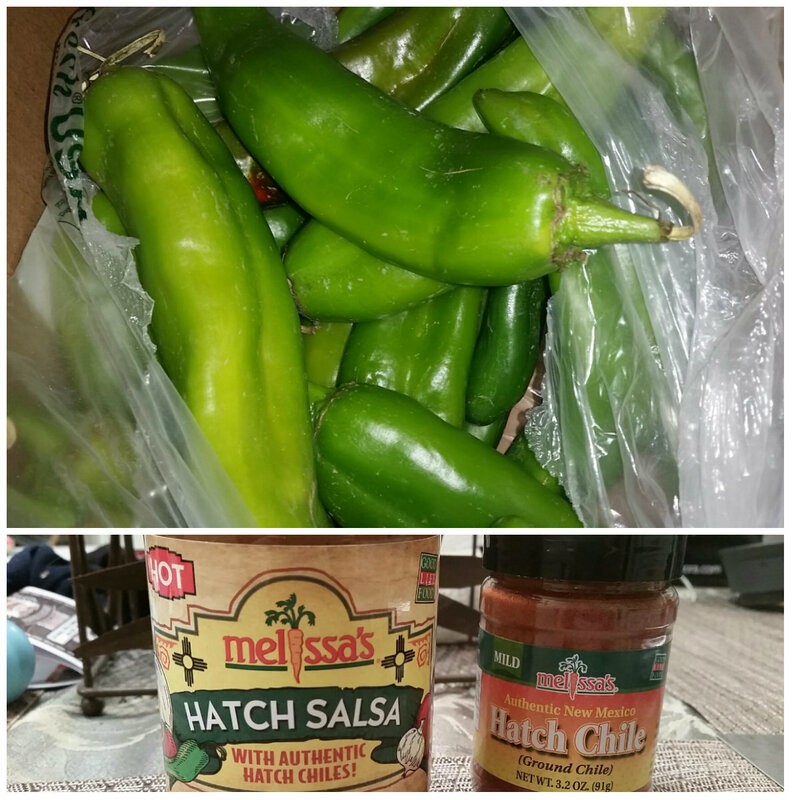 Hatch Chile Roasting Season has arrived! These chiles are a favorite Southwestern Chile that come from New Mexico. Their name comes from the area in which they are grown in Hatch, New Mexico and they are jam packed with flavor! Many chefs have said that intense sunlight in the day and cool nights in this valley give the hatch chilies their unique flavor! 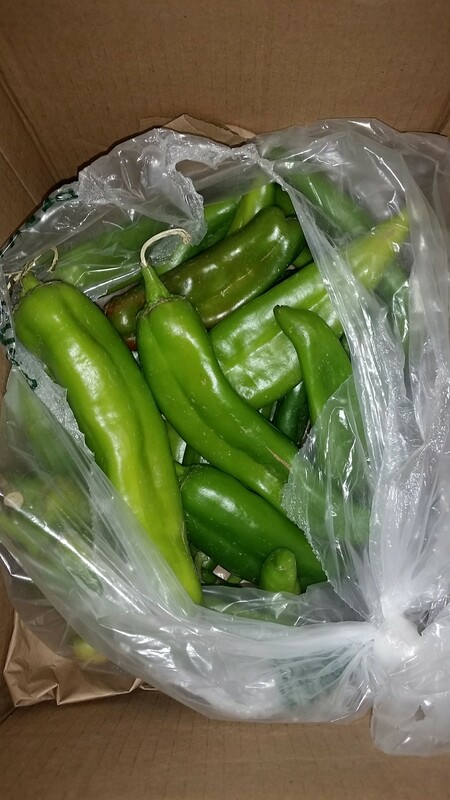 Hatch chilies are very meaty in their flesh and are great to use for making Chile Rellenos, Chile Verde and more! Every year we get a supply of these amazing chilies from Melissa’s Produce and my hubby makes so many different fabulous recipes. (He is definitely the cook in our family!) The thing I love about these chilies is that there are mild ones as well as spicy. I am not a big spicy person, but the mild varieties of these chilies really rock my world! This year my favorite dishes that my hubby made with hatch chilies were chile rellenos and hatch chile cheese dogs with turkey bacon! Yum! 🙂 We get them raw and my hubby roasts them himself, but there are many hatch chile roasting events that take place every season in which they roast these delicious delicacies right before your very eyes! You can also purchase the awesome cookbook on Melissa’s Produce website for even more great recipes to make with these chilies! 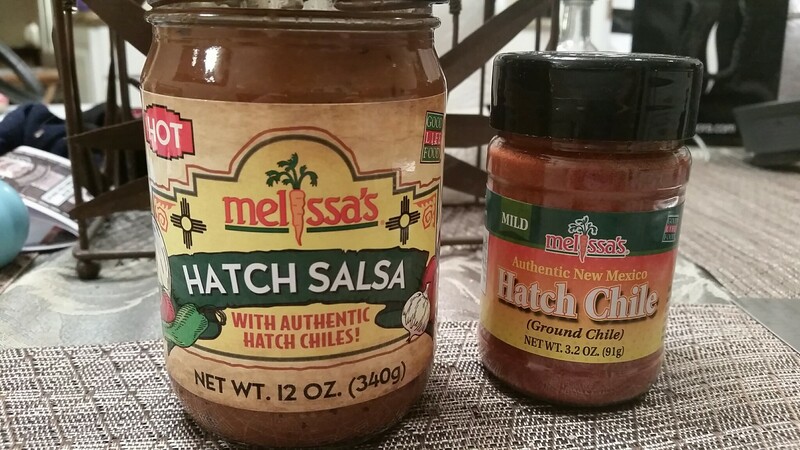 To check out and purchase a copy of Melissa’s Hatch Chile Cookbook, see link here –> Melissa’s Produce Hatch Chile Cookbook. Below I am providing you with the hatch chile roasting schedule throughout California so you can check out one of these special events at your nearest location! If you are not in California, here is the link for all other states as well –> Hatch Chile Roasting locations US. Please keep in mind that hatch chile season is only in August and September, so these delicious morsels are only available for a limited time! Hope you make it to one of these special events!